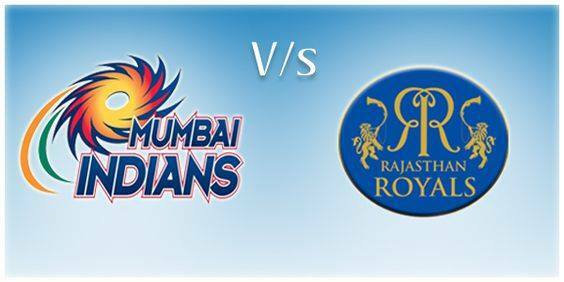 Summary: Mumbai Indian won the toss and decided to bat first. Suryakumar Yadav and Ishan Kishan contributed 129 runs partnership off 82 deliveries whereby Yadav scored 72 off 47 balls and Kishan 58 off 42. Mumbai Indians were 130 for 2 in 14.2 overs and 159 for 7 in 18.5 overs, losing 5 wickets for 29 runs in just 27 balls. 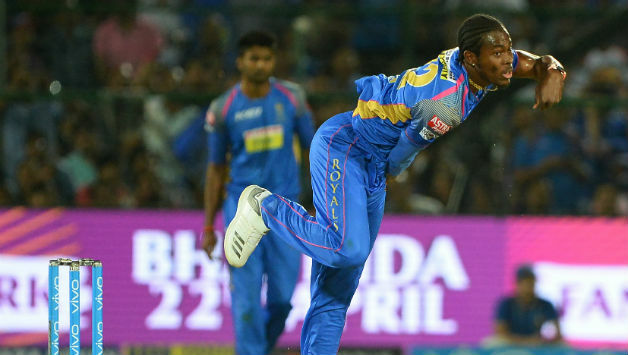 Jofra Archer from Rajasthan Royals took 3 wickets in his last over thereby ending his spell at 22 for 3 in 4 overs. Rajasthan Royals lost Tripathi and its skipper Rahane in first 5 overs, however Sanju Samson and Stokes played well contributing 52 and 40 runs respectively. However it was Krishnappa Gowtham who played a sensational inning of 33 off 11 balls hitting four 4s and two 6s taking Rajsthan Royals to its victory against Mumbai Indians. What could have been a better thrilling match on a Sunday evening at Sawai Mansingh Stadum in Jaipur. The entire match was such a sensation that at no point it could have been guessed correctly who will end up winning the match. At the time when Yadav and Kishan were hitting RR bowlers, its seemed MI would be easily able to score 200 plus, but as luck would have been, the moment Kishan got caught by Butler in 15th over, the entire scenario changed over the next few overs. MI lost 5 wickets at just 29 runs in 4.3 overs losing all their hard hitters like Sharma and Pandya brothers. Jofra Archer bowled excellently his last over taking 3 wickets thereby ending his spell at 22 for 3 in 4 overs. Even Pollard could not do much by being at the crease unbeaten till last, scoring just 21 off 20 balls, as wickets kept falling on the other side. Mumbai Indians could manage just 167 for 7 in 20 overs. Rajasthan Royals had a slow start scoring just 38 for 2 in 5.4 overs. 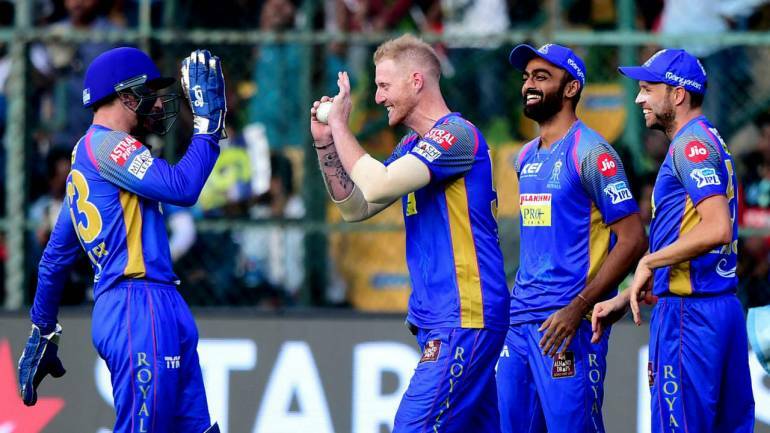 However their star Batsmen Sanju Samson and Ben Stokes played well to take the score to 110 in 14.1 overs when Stokes was bowled by Hardik Pandya at 40. Sanju Samson was in good form but was caught by Hardik Pandya in the 17th over scoring 52 off 39 balls. 17th over seemed to be a game changer in favor of Mumbai when their star bowler Bumrah took away Samson and Buttler, giving away just 1 run. Start of 18th over was again a disaster for RR as they lost another wicket. But Gowtham changed the entire stats for RR, hitting 33 off 11 balls with the help of four 4s and two 6s. Rajasthan Royals needed 28 off 12 balls and Gowtham hit the winning shot in the 3rd last ball of the inning. Rajasthan Royals won by 3 wickets. It was Mumbai Indians 5 loss out of 6 matches keeping them just ahead of Delhi Daredevils. Rajasthan Royals is at 5th position with 6 points in 6 matches.